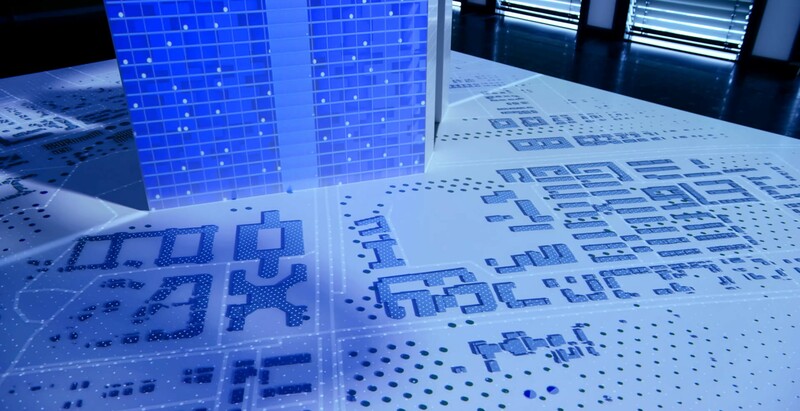 What if buildings knew how people were using them and could anticipate their needs? We created an interactive exhibit within IBM’s permanent IoT exhibition to make this vision tangible to the visitors. IBM’s Munich headquarters are equipped with over 10,000 sensors to monitor everything from environmental information, to the use of energy, to the flow of people. This helps to understand how people use buildings, how seasons affect their behaviors, how energy consumption or cleaning needs can be optimized and in general how to make the inhabitants’ day-to-day experiences more seamless, productive and pleasant. 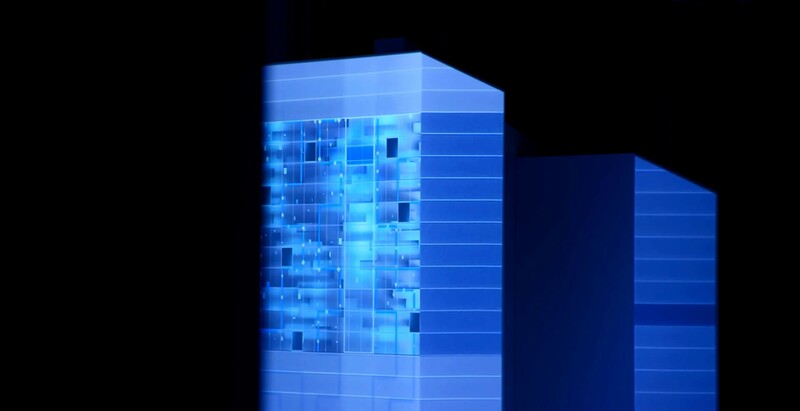 To make this tangible on a smaller scale, we created an interactive model of the building, which gathers real data from Watson and turns it into an immersive audiovisual experience. 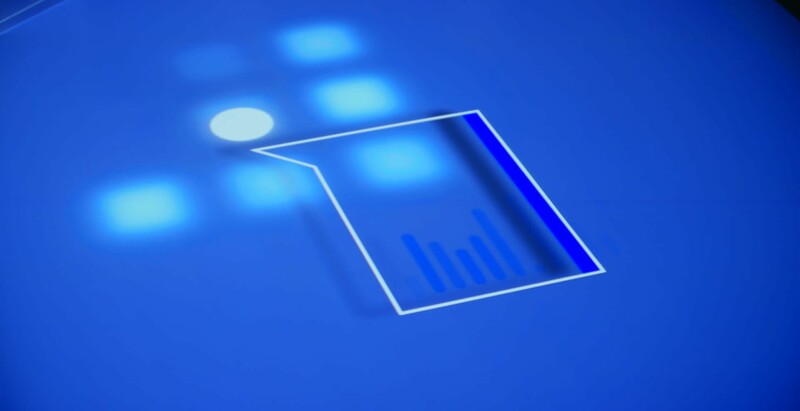 Via a specially designed mobile app, the user can now browse through real time data, as well as recorded data from the last 2 years, to spot emerging trends: comfort levels, occupancy levels, and the flow of people. 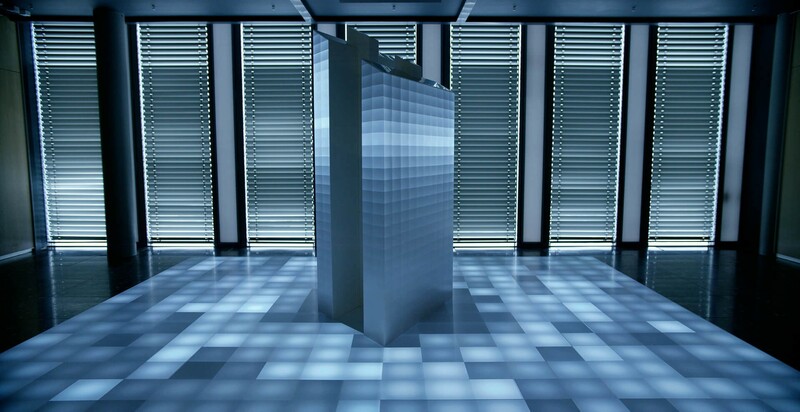 Various GLSL shaders express the character and values of the according data sets and via 360° projection mapping constantly transform the appearance of the model and the space. 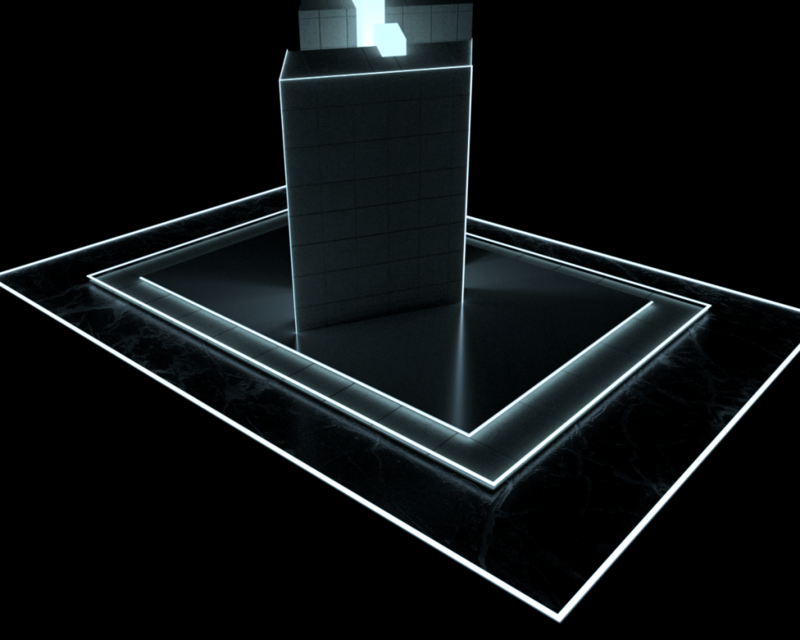 Therefore, for example, a liquid shader visualizes the humidity level among the floors. 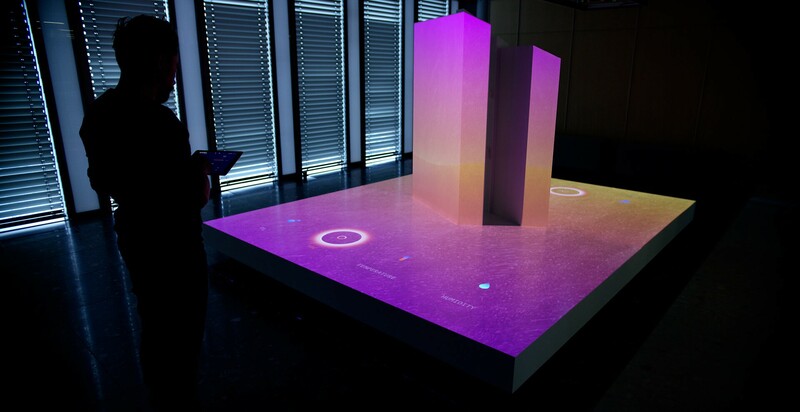 A colorful heat map spreads over the 2-meter-high Corian twin tower and its large plinth to indicate temperature levels. 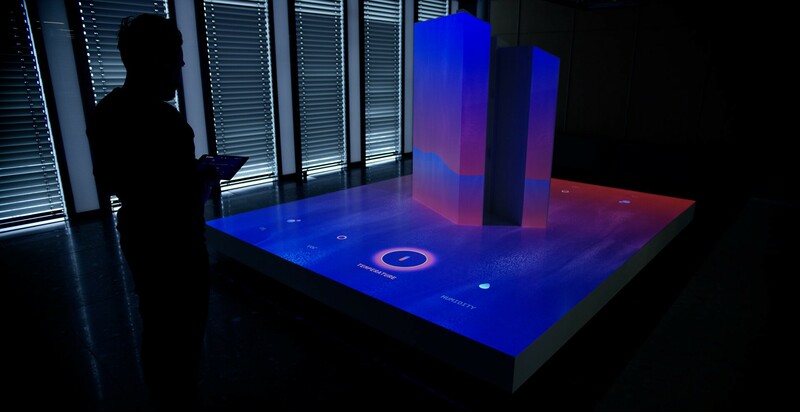 Moreover, a gas-like shader represents the CO2 and volatile levels in the building which IBM already uses to manage the reservations of conference rooms and public spaces. 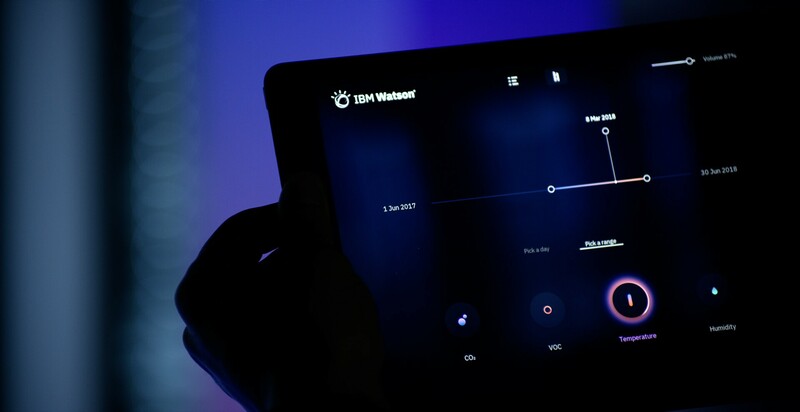 The Intelligent Building exhibit also features a 7-chapter story mode which explains the idea of IOT in general, how IBM’s Watson enables to find solutions to problems before they even become problems and how a future roll out to other institutions and facilities will connect the world and positively affect our everyday lives. 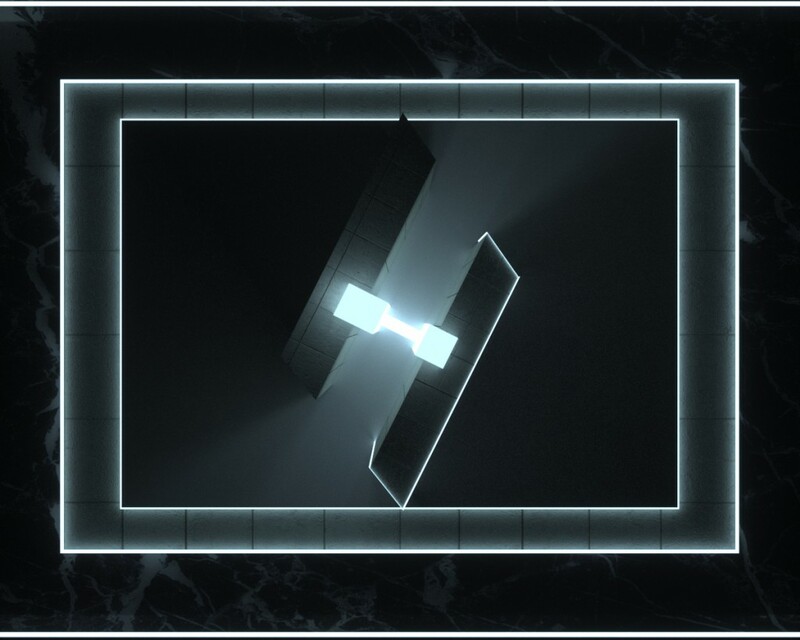 We carefully crafted the sound design using abstract sonic interpretations of physical states in order to translate topics like data and data communication into organic and vivid soundscapes. The Intelligent Building Installation is now the centerpiece in the IBM Europe headquarters IoT exhibition.